Read labels and stick to guidelines to prevent this widely used pain and fever remedy from harming your liver. Cold, cough, and flu season is a good time to revisit the risks of acetaminophen—the pain and fever reliever in Tylenol and many other over-the-counter medications. Billions of doses of acetaminophen are consumed safely every year, but deaths still occur from accidental overdoses and thousands of people end up in the emergency room. More than 600 products contain acetaminophen, and inadvertently combining them can nudge you into the red zone. "People don't realize that these doses all add up, and before you know it you've exceeded the recommended dose of acetaminophen," says Dr. Melisa Lai Becker, instructor in medicine at Harvard Medical School and a specialist in emergency medicine and toxicology at Harvard-affiliated Cambridge Health Alliance. Acetaminophen controls pain and fever but does not reduce inflammation, as does aspirin and the other widely consumed nonsteroidal anti-inflammatory drugs (NSAIDs) ibuprofen (Advil, Motrin, generics) and naproxen (Aleve, generics). But unlike NSAIDs, acetaminophen does not irritate the stomach and intestinal lining. That means a person who cannot tolerate NSAIDs can still take acetaminophen. It's an important drug for controlling chronic pain in older adults. The hitch is that acetaminophen also has a narrower window of safety compared with ibuprofen and naproxen. NSAIDs can make you sick, too, but it takes a larger amount to reach a dangerous overdose. Taking too much acetaminophen can damage the liver, sometimes leading to a liver transplant or death. The body breaks down most of the acetaminophen in a normal dose and eliminates it in the urine. But some of the drug is converted into a byproduct that is toxic to the liver. If you take too much—all at once or over a period of days—more toxin can build up than the body can handle. For the average healthy adult, the generally recommended maximum daily dose is no more than 4,000 milligrams (mg) from all sources. But in some people, doses close to the 4,000 mg daily limit for adults could still be toxic to the liver. It's safest to take only what you need, and to not exceed 3,000 mg a day whenever possible, especially if you use acetaminophen often. If you ever have concerns about how much acetaminophen you can tolerate based on your age, body size, and health status, talk to your doctor or pharmacist. Here are some general precautions for avoiding an accidental overdose of acetaminophen. Cold and flu remedies count. When you reach for an over-the-counter cough, cold, or flu product, take a look at the label. Does it contain acetaminophen? Know the milligrams in your pills. In acetaminophen products available over the counter, each pill may contain 325, 500, or 650 milligrams of the drug. Be extra cautious when taking 500 or 650 milligram pills. Stick to recommended doses. When taking acetaminophen, don't be tempted to add a little extra to the recommended dose. A small-bodied person should stay on the low end of the recommended dose range (3,000 mg). Easy on the alcohol. Drinking alcohol causes the liver to convert more of the acetaminophen you take into toxic byproducts. Men should not have more than two standard drinks per day when taking acetaminophen (one drink per day for women). Know if your medications interact. Ask your doctor or pharmacist if any of your prescription medications could interact badly with acetaminophen. 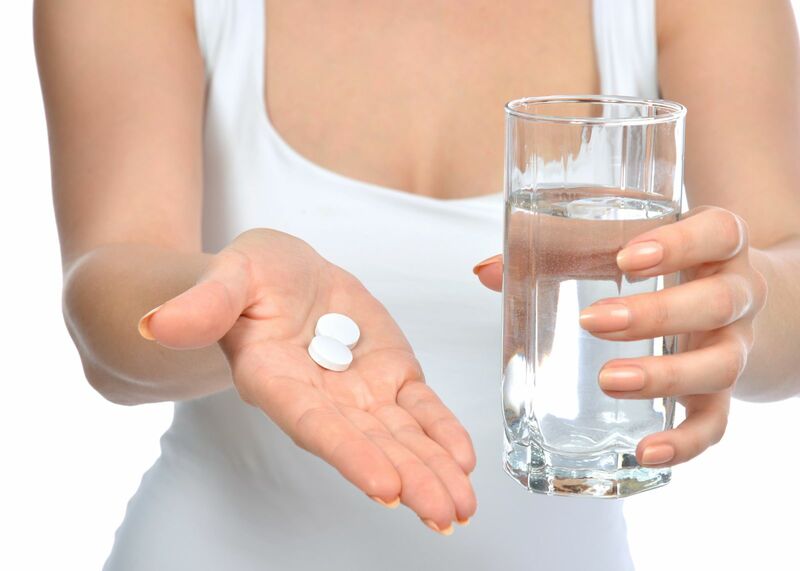 Tens of thousands of people become ill every year from taking too much acetaminophen. In a smaller number of cases—several hundred per year—it leads to death. But it need not happen to you. "Read the labels and stick to the guidelines," Dr. Lai Becker advises. Acetaminophen: How much can you take safely? Take how many pills at a time? The maximum daily dose for a healthy adult who weighs at least 150 pounds is 4,000 milligrams (mg). However, in some people, taking the maximum daily dose for extended periods can seriously damage the liver. It's best to take the lowest dose necessary and stay closer to 3,000 mg per day as your maximum dose. If you need to take high doses of acetaminophen for chronic pain, check with your doctor first. For therapy options beyond the standard approaches to managing pain, buy the Harvard Special Health Report Pain Relief: Natural and alternative remedies without drugs or surgery.